The Department of Homeland Security did not provide answers to Crimesider’s questions regarding how the federal government would go about collecting this data from the nation’s more than 15,000 law enforcement agencies, but the order nonetheless begs the question, how big a problem is crime committed by immigrants? Florida State University Professor of Criminology Daniel Mears says that “good data” focused on immigrant criminality - specifically undocumented immigrant criminality - is scarce. 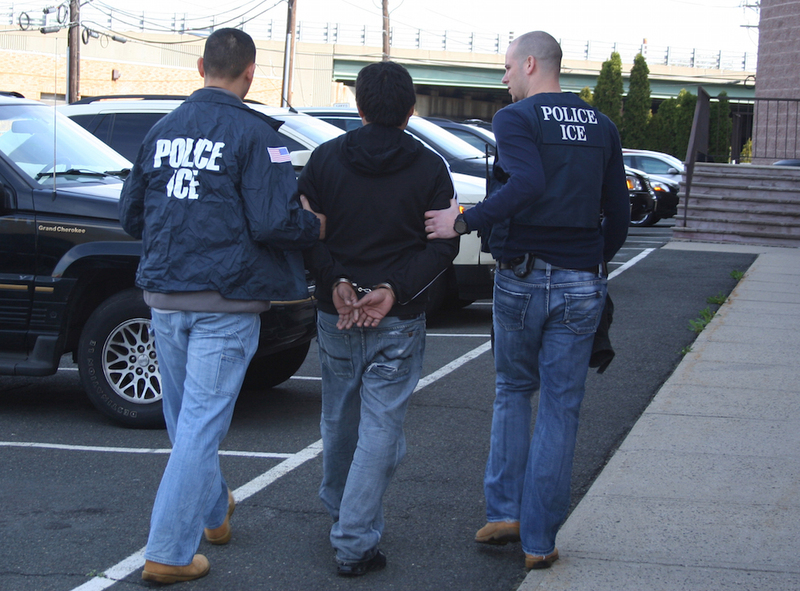 Determining definitively whether someone who has been arrested is in the country legally can take significant effort, and the result might not be noted in all law enforcement records. In addition, researchers often have to rely on arrest and conviction numbers, which may be misleading because they can reflect law enforcement priorities more than criminal behavior. A jurisdiction might see a spike one year, for example, if a police chief or prosecutor decides to prioritize enforcement against immigrants. Despite this, Mears and others who study this subject seem to agree that most research indicates immigrants actually commit crime at lower rates than native-born citizens. According to analysis of the 2010 census and the American Communities Survey done by the non-profit American Immigration Council, immigrants to the United States are significantly less likely than native-born citizens to be incarcerated. The authors found that 1.6 percent of immigrant males age 18-39 are incarcerated, compared to 3.3 percent of the native-born. The divide was even sharper when the authors examined the incarceration rate among immigrant men the authors believe likely to be undocumented — specifically less-educated men from El Salvador and Guatemala between age 18-29. According to AIC senior researcher Walter Ewing, there are very few ways for men in this demographic to emigrate legally. According to the analysis, these likely undocumented immigrants had an incarceration rate of 1.7 percent, compared with 10.7 percent for native-born men without a high school diploma. This conclusion is no surprise to Christopher Salas-Wright, an assistant professor at Boston University who has studied antisocial behavior like drug use, gambling and fighting in immigrant and non-immigrant populations. “The evidence is really compelling that immigrants are involved in these behaviors at a far lower rate than native-born Americans,” Salas-Wright says. A paper published by the National Bureau of Economic Research in 2007 found that immigrants had incarceration rates about one-fifth that of native-born Americans, and that the difference actually increased between 1980 and 2000. In other words, he said, after undertaking the economic and social sacrifice necessary to emigrate, it doesn’t make sense to imperil that new life by committing crime or engaging in risky behavior. During his campaign, President Trump often spoke about immigrants as criminals, and highlighted violent crimes to make his point, including the 2015 shooting death of Kathryn Steinle, who authorities say was killed by an undocumented immigrant from Mexico who had been deported five times. It was a powerful example, but not exactly representative of the millions of immigrants living in the country today, researchers say. Steinle was killed in San Francisco, a so-called “sanctuary city,” which offers certain protections for undocumented immigrants who might otherwise be deported by federal immigration officials. Mayors of some sanctuary cities, including Philadelphia’s Jim Kenney, Boston’s Martin Walsh, New York’s Bill de Blasio, and Chicago’s Rahm Emanuel argue that forcing local law enforcement to act as immigration officers will deter immigrants from reporting crime and negatively impact public safety. To this point, FSU’s Mears wonders what Trump’s plan to create a public list of crimes committed by “aliens” is supposed to accomplish.